The Palestinian Authority on Monday played on the fears of most Israelis that they face a "demographic threat," a notion that has led many, even among conservative Israelis, to believe they have no choice but to establish an independent Palestinian state. 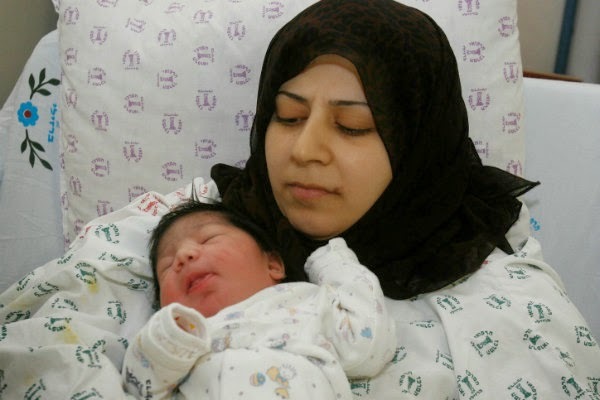 Census figures published by the Palestinian Central Bureau of Statistics (PCBS) claimed there are today 6.08 million Arabs living west of the Jordan River (in Israel, the West Bank and Gaza), compared to 6.10 Jews. The report predicted that in a mere two years, both people groups will number 6.42 million, and that by 2020 Arabs will outnumber Jews 7.14 million-to–6.87 million. The PCBS has been issuing such warnings for more than a decade, and its predictions somehow never seem to come true. In 2003, it was said the Jewish and Arab populations west of the Jordan would reach parity by 2006. In 2010, the PCBS claimed Arabs would outnumber Jews by the end of 2014. Israel stopped collecting census data in the West Bank and Gaza with the creation of the Palestinian Authority in 1995 as part of the "Oslo Accords." Since then, Israel has relied on data provided by the PCBS, and has inexplicably taken those figures at face value despite the fact the Palestinian Authority has a vested interest in promoting the idea of a demographic threat to the Jews. In 2006, a study entitled "Arab Population in the West Bank and Gaza: The Million Person Gap" was presented before the US Congress, which was deliberating over continued financial assistance to the Palestinian Authority. The study found that Palestinian population figures had been grossly inflated. In 2010, the American-Israel Demographic Research Group published a survey reaching the same conclusion that instead of the 2.5 million Arabs the PCBS says live in the West Bank, the figure is actually closer to 1.5 million. Both studies were based on pre–1995 census figures, a plummeting Arab birth rate, and a steady stream of emigration from Palestinian-controlled areas. At the same time, the Jewish birth rate has been on the rise, a long-term demographic trend that clearly favors the Jews. Additionally, the number of Palestinian Arabs leaving the region every year (an average of around 20,000) is usually matched by the number of Jews making aliyah to Israel.